Over the past several years, BC has gained international recognition for being a leader on the green economy and taking strong, bold steps to reduce our carbon footprint. We have set legislated targets to reduce our carbon emissions 33% by 2020 and 80% by 2050. And we, as a province, have taken strong, bold steps to achieve them.
. Do we follow the path that has been laid out through 2012 on the carbon tax?
. Do we continue to be engaged with other provinces and states in developing policies to reduce carbon emissions? In both cases, the answer is yes. It’s in BC’s interests to be leading change in order to leverage our bountiful supply of renewable resources and clean energy, and, more importantly, our expertise and creativity in adapting to a greener economy. Climate change is having a major impact on BC, whether it is the devastation of our forests by the mountain pine beetle, the impact on our water supply due to melting glaciers, or extreme weather events. Governments, communities, and businesses around the world are confronting climate change, some places more than others, but there is unquestionably a movement taking place that is changing the way our economy works. 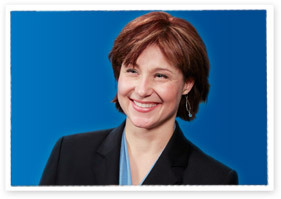 BC is on the leading edge of the new, green economy . a decision that was reinforced by the electorate in the 2009 election when it made a choice to elect a government committed to moving ahead with courageous climate change policies. New green jobs being are being created and cleaner technology is being utilized whether it is a new district energy system at Simon Fraser University, new technology on drilling rigs in our natural gas sector, or new bio]energy production in Prince George. As well, the announcement by Mercedes Benz to locate the production of electric vehicle fuel cells in Burnaby, confirms that BC is seen as a leader in the new green economy. The carbon tax has put a price on carbon, while returning that revenue back to individuals and businesses through tax cuts. The purpose is to provide, over time, an incentive for individuals and businesses to reduce carbon use. To date, we have cut more taxes than the amount collected by the carbon tax. In the future, I am open to considering using the carbon tax to support regional initiatives, such as public transit. If we go this route, we must ensure that the allocation of carbon tax revenue respects regions and communities so that one region is not subsidizing investments in another. We will continue to play a leadership role through the Western Climate Initiative to design a cap and trade system that works for our environment and our economy. Cap and trade requires the participation of trading partners, and BC will work with California and other participating jurisdictions, while consulting extensively with stakeholders in BC. As we go forward, one thing is for certain: we will work to achieve our targets to reduce carbon emissions and continue to be a leader in North America on the green economy. Not in a vacuum, but by working together with British Columbian families, communities, and businesses. This entry was posted in Climate Action Policy, Uncategorized. Bookmark the permalink. Good news….how about oil tankers, and Enbridge pipeline, the BIG items?!!! I have a hard time reconciling this statement with what has been – and is – happening in BC. There is the rapid expansion of fossil fuel extraction – oil, gas and coal. Somehow we do not count the vast quantities of coal extracted in BC for steel making in Asia towards our contribution to greenhouse gas emissions. But we sure enjoy those revenues. And we spend them on projects like the expansion of Highway #1 and the South Fraser Perimeter Road – projects that lock most of Greater Vancouver into automobile dependence and urban sprawl for the foreseeable future. We have seen much activity in the so called run of the river hydro production – but that it for export, and only in the spring runoff season, and is not even regarded as “green” by its intended customer, California. Meanwhile hydro rates are being increased to fund massive expansion of generating capacity. And politicians from both the BC Liberals and the NDP are still trumpeting the need for continued economic growth. Neither understands the urgent need to change directions to at least a steady state economy and a dramatic reduction in energy consumption. Second, Eby’s thoughts on the WCI are of less import than those of the NDP’s new leader, Adrian Dix, and he’s expressed even less enthusiasm for the WCI than Clark. For example, see his answer to question two from this survey put together by Organizing for Change, a group Pembina helps run: http://organizingforchange.org/adrian-dix. To me, the line “I am committed to a regulatory approach for industrial sources” is the most important one of his entire response. A hard-path regulatory approach is about as far away from a market-based mechanism as one can get. Neither of these potential premiers has said they’ll do away with the WCI if elected, but if I were you I’d be preparing to put their feet to the fire just in case.